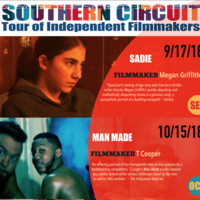 The South Arts Southern Circuit Tour of Independent Filmmakers will bring six filmmakers and films to campus for screenings and workshops through the 2018/2019 school year. All screenings will take place in Sanford Hall, Room 1002. They will also all start at 7:30 PM. Producer Lacey Leavitt will be in attendance. The screening will be followed by a Q&A with Director T. Cooper. A feature-length documentary tracing the varied lives of four transgender men, as they prepare to step on stage at the only all-trans body building competition in the world. The screening will be followed by a Q&A with Director/Producer/Writer Elizabeth Rynecki. 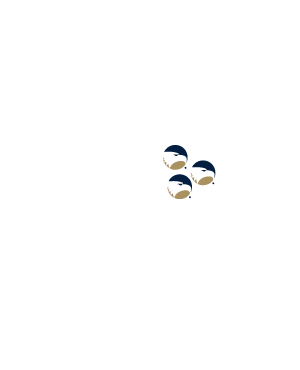 One man's art. One woman's unexpected path to healing. An American woman’s emotional quest to find the paintings of her Polish-Jewish great-grandfather, lost during World War II. When two siblings undertake an archaeological excavation of their late grandmother’s house, they embark on a magical-realist journey in search of what life remains in the objects we leave behind. 306 Hollywood transforms the dusty fragments of an unassuming life into an epic metaphor for the nature of memory, time, and history. The screening will be followed by a Q&A with Director RaMell Ross. Composed of intimate and unencumbered moments of people in a community in Alabama’s Black Belt, Hale County This Morning, This Evening offers an emotive impression of the Historic South. Daniel Collins attends college in search of opportunity while Quincy Bryant becomes a father to an energetic son. Creating a poetic form that privileges the patiently observed interstices of their lives, RaMell Ross' film trumpets the beauty of life and consequences of race, while simultaneously existing as a testament to dreaming - despite the odds. The screening will be followed by a Q&A with Director/Producer Bing Liu. Three young men bond across racial lines to escape volatile families in their Rust Belt hometown. Ten years later, while facing adult responsibilities, unsettling revelations force them to reckon with their fathers, their mothers, and each other.